I have decided that this coming trip to see my son is going to be a no luggage check type of trip. So with that I debated on taking one of my Nikon's or not. Not has won out for more than one reason. 1. I just don't want to keep up with it 2. I misplaced (nothing new) my battery charger. So with an up coming wedding I went ahead and ordered one from Amazon. When it gets here, I will probably locate the older one and it will probably be right out in the open. 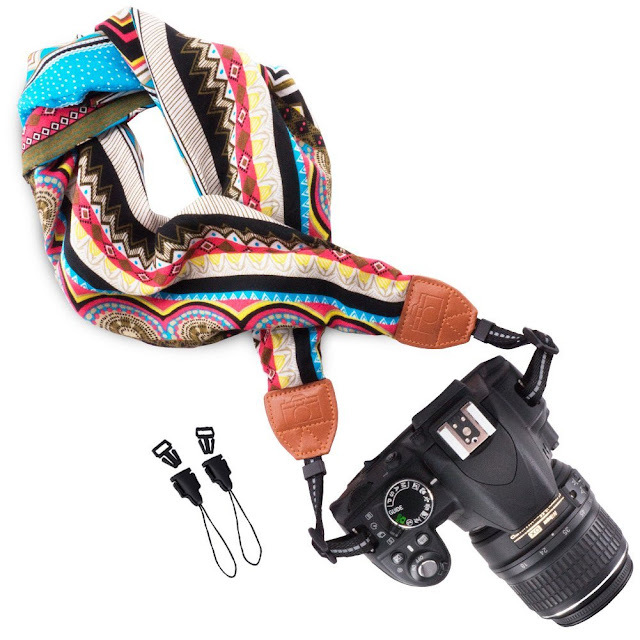 While ordering the battery charger I decided to purchase a new camera strap. Here's the one I picked out. I love it. Anyway, I have two small point and shoot cameras I will take with me. Easier to carry, easier to handle. 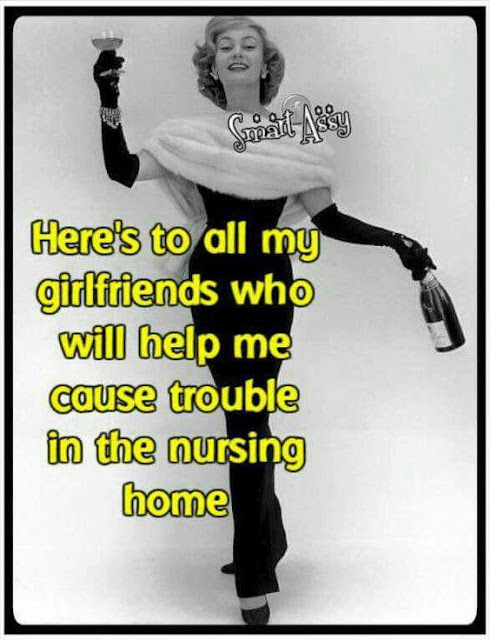 HAHA Theresa tagged me on FB on this pic. Said it was me. and July is in? 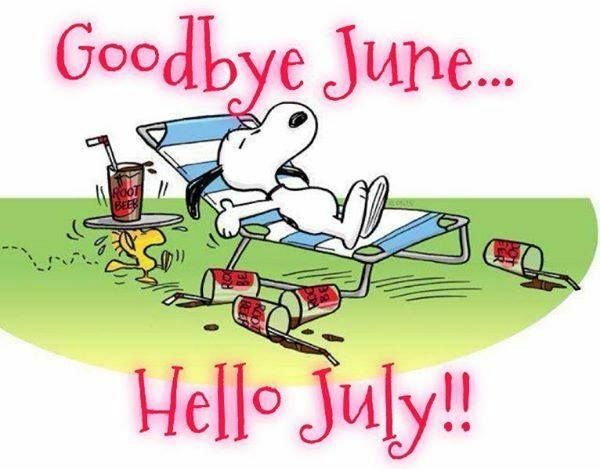 Where did June go? This coming week on Monday my sis in law has made an appt for Smokey. Smokey is the stray that is no longer a stray Russian Gray that apparently was dropped at their place. He is a sweetie and it is a given that he used to be an indoor cat. So....Kim is making an appt and I will go over with my brothers help and catch him and take him to the vet to be checked. Hope is, if Zuzu and Zora (Becky) will allow it, to move him indoors. Lucky cat! Then on Tuesday I am driving to visit the grandson's and their other nana is riding down with me. That is an hour and 15 min drive each way. to visit with my son and daughter in law. When I return from Calif. I will rest for a few days. I know my body will be yelling at me to do that then I will spend a morning decorating for the school reunion which will be that night. Oh my.....really hoping that is not where I end up even though the saying is adorable. Oh his sense of humor! Stumbled across this on PINTEREST. So today while sitting on the deck I looked out to see two dragonflies flirting around. How true that was... the flirting part. So, this is how they "DO" it! Their bodies even make a heart! Twenty six years ago (July 1)I moved in my home. I was a single divorced mom with a child 12 and another 5. Our new place came with some adjustments, one we were attached to our neighbor. I bought what is known as a zero lot line. My kids had to learn not to play on stairs since we lived in one level home before. And Cory had to learn that mom was not crazy about him always wanting to play in the creek! 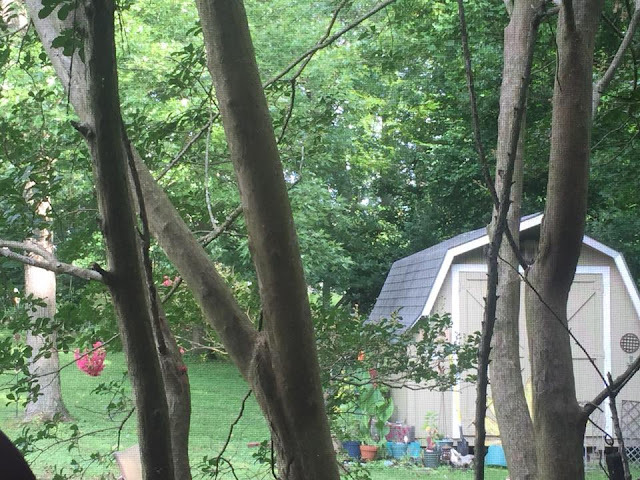 Unlike our other home that had mature trees and a fenced in backyard, this yard had no existing trees except one mature on in the front and what grew along the creek. When I look out now to the backyard from my favorite spot, the deck I marvel at the changes that have taken place. For one, there was no shed in the yard when I moved here. Now there are 3 mature trees that go down the middle of mine and my neighbors lot. I planted a maple, and two oak many years ago.